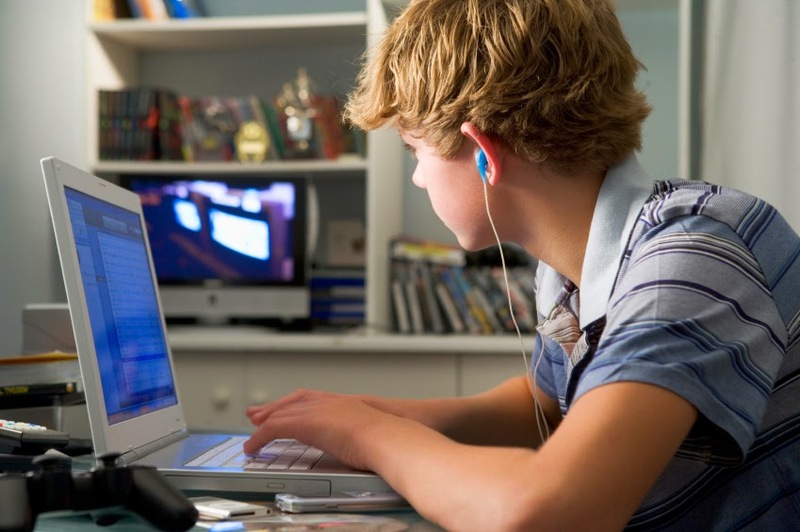 Most American 12- to 15-year olds spend too much time at their computers and watching TV. It’s unhealthy to be a couch potato. Yet, a new study finds, at least 70 percent of U.S. 12- to 15-year olds spend too much time in front of a TV or computer. Kirsten Herrick works for the Centers for Disease Control and Prevention, or CDC, in Hyattsville, Md. She and other CDC scientists analyzed data collected in 2012 as part of two major surveys. One was the National Health and Nutrition Examination Survey. The other was the National Youth Fitness Survey. Each survey asked a representative cross-section of all Americans to answer a series of questions. Almost every kid in the United States regularly watches TV, the data show. More than 90 percent spend at least some time each day on a computer. Enjoying each is fine, the researchers say. The trick is not to overindulge. And that would be watching TV and/or playing on a computer for more than 2 hours a day. Two groups established that recommended screen-time limit. One is the American Academy of Pediatrics (doctors who specialize in the health of children and teens). The second is the National Heart, Lung and Blood Institute. Its researchers focus on heart health. Both groups are concerned about kids who substitute athletic sports and other vigorous exercise for couch potato pursuits. Too much time in front of a TV or computer screen has been linked in adolescence with being overweight (or obese), having high blood pressure and having elevated cholesterol. Each of these features put individuals at risk of heart disease. So how are American kids doing? Roughly 65 percent of the surveyed adolescents report watching no more than 2 hours of TV daily; 75 percent similarly average no more time than that in recreational computer use. However, most of these kids didn’t just watch TV or just play with computers. They did both. So the researchers tallied their screen time from both sources. Now, three quarters (fully 75 percent) of the boys exceeded the recommended daily limit. Girls did a bit better. Only 71 percent of them exceeded the screen-time limit. Especially troubling: The share of adolescents who are overweight increased as the average time spent pursuing these couch-potato activities rose. Herrick’s team published its findings in a July report issued by CDC’s National Center for Health Statistics. Kids who spend too much time on such sedentary activities can begin to pack on the pounds. And all too many don’t recognize when their weight slides into an unhealthy range. That’s something documented in a second CDC study, also published this month. Among overweight 8- to 15-year olds, it found that almost 81 percent of boys and 71 percent of girls believe they are at a healthy weight. Nearly half of obese boys in this age group and more than one-in-three obese girls had a similarly distorted view of their weight. But if teens need yet another incentive to spend a little less time in front of computers and other indoor screens, consider this: Doctors are linking changes in the shape of the eyeball to too much time indoors (such as working at a computer). That can lead to near-sightedness and a host of other health problems. couch potato Slang for people who get very little exercise and spend much of their leisure time sitting around, often watching television. hypertension The medical term for high blood pressure. It can put a strain on blood vessels and the heart. National Health and Nutrition Examination Survey, or NHANES A long-running program of studies (begun in the early 1960s), which have been designed to assess the health and nutritional status of adults and children in the United States. NHANES combines both physical (medical) examinations and interviews. It’s run by the National Center for Health Statistics, which is part of the U.S. Centers for Disease Control and Prevention. Each year, the program surveys another 5,000 people who have been chosen to be representative of all ages and races, and of people living throughout the nation. National Institutes of Health This is the largest biomedical research organization in the world. A part of the U.S. government, it consists of 21 separate institutes — such as the National Heart, Lung and Blood Institute and the National Human Genome Research Institute — and six additional centers. Most are located on a 300 acre facility in Bethesda, Md., a campus containing 75 buildings. The institutes employ nearly 6,000 scientists. National Youth Fitness Survey A part of the National Health and Nutrition Examination Survey, conducted in 2012. It collected data on data on physical activity and fitness levels of U.S. children between the ages of 3 and 15. This survey is conducted by the National Center for Health Statistics. It is part of the U.S. Centers for Disease Control and Prevention.